I have the releases for all the MCU films, and most of the MCU shows. Still need to get Luke Cage, Defenders, and Punisher at some point. As for the films, I enjoy the scores quite a bit. Although they don't have the best consistency with respect to themes, I see that as much of a strength as a weakness. Although I enjoy Djawadi's work on Iron Man, I enjoy Debney's score to Iron Man 2 more, and I enjoy Tyler's score to Iron Man 3 far more than the other two films. Similarly, I enjoyed Doyle's Thor, but I enjoy Tyler's score to Thor: The Dark World much more. I do wish he returned for Ragnarok, but I also enjoy Mothersbaugh's score, even if it doesn't quite hit the bar established by Tyler. For Captain America, Silvestri wrote a great theme for Cap, which is nice and patriotic, but both CA: Winter Soldier and CA: Civil War feature disillusioned Cap, who sticks to ideals while feeling betrayed by the people who govern, which makes Silvestri's theme feel out of place. I listen to Jackman's two CA scores at least as much, if not more, than Silvestri's, and I love them all. For Avengers, Silvestri wrote a great theme, but I liked Elfman's working of the Avengers theme as well. With Silvestri coming back to score the next two Avengers films, his theme will also inevitably return. His Avengers theme is featured in the Infinity War trailer, and it was also used in Spider-Man: Homecoming when Peter goes to the Avengers compound. I am very curious to hear what he does with Cap considering where the character is now, as opposed to when Silvestri had been scoring him earlier. The scores for the other films are also great, including Giacchino's scores for Doctor Strange and Spider-Man: Homecoming, Tyler Bates' work on Guardians of the Galaxy, and Goransson's score for Black Panther. Hopefully those composers will return for follow ups to the respective films they work on. Interestingly enough, two scores that seem to get the most praise on this board, Ant-Man and Incredible Hulk, are scores I listen to the least. I don't dislike them, and enjoy them while playing, but I don't have much desire to listen to either of them again any time soon. WINTER SOLDIER is the distinctive masterpiece of all the MCU films, and also the score which best accompanies its film, which is also best. I really like that movie and score. The inclusion of the Silvestri/Coplandesque theme from the first movie makes that CD a keeper imo. Yes, I would say that's my favorite score from the MCU. But I have to give a slight edge to Civil War as a movie. I just really liked that story a lot, and of course there was some great Cap action there (he's my fave superhero). While there is much to enjoy in Civil War (Cap holding back the helicopter---yes! ), the score itself is serviceable, but not especially memorable. What I found disappointing about the film is that the "Superhero Registration Act", which is essential to the conflict in Civil War the comic, is largely jettisoned in favor of the more "personal" motive Cap has--his allegiance to Bucky. Cap's opposition to the Act should have been his primary motive in the film, but then how would that plot point go over in the lucrative overseas market (and China and Russia, especially)? What I found disappointing about the film is that the "Superhero Registration Act", which is essential to the conflict in Civil War the comic, is largely jettisoned in favor of the more "personal" motive Cap has--his allegience to Bucky. Cap's opposition to the Act should have been his primary motive in the film, but then how would that plot point go over in the lucrative overseas market (and China and Russia, especially)? I agree with all of this. The SRA was the main focus of the CW novel...I keep wondering if the Bucky thing was played up because the MCU wanted to softshoe the political stuff. I mean, the focus of the MCU is even more pre teen oriented than DC, so perhaps they felt that making the story about friendship and sacrifice inherent to was more important to younger folks. Jackman did kind of weaken on CW. The theme during the airport scene I felt was a very strong one...the problem is that it was developed in an unnatural sounding, chopped up way that ultimately didn't serve the film the way it should. I should mention that, although I completely sympathize with folks pointing out Jackman's obvious debt to Zimmer, both he and Brian Tyler are very good composers, whose works I prefer in both Cap and Thor movies over the others. The filmmakers definitely took the "teeth" out of the comic's premise, thus making Cap's position look selfish or even foolish, given Bucky's mindcontrolled misdeeds. The opportunity to make a much more intelligent and dramatically interesting film was imo, lost. It would have been great to have more of RDJ's acting chops on display instead of all the wisecracks--which he rarely did in the comics I've read. It would also have been better with less of that Spider-Man stuff shoehorned in for that character's reboot. It was a mistake making Spidey beholden to Stark in a way he never was in the comics; Spidey was the paragon of independence. However, I understand that Iron Man is the flagship film and character. Given those omissions and additions, I wonder if Jackman would have been more inspired in his scoring; of course we'll never know. It could be exactly that. Or maybe he ended up like Zimmer and realized he was rehashing himself...Superhero Score Burn Out Syndrome. I seriously considered whether to start a new thread, but I couldn't find one single discussion that encompassed the whole MCU. And keep in mind, posting in a thread you want to boycott is... counter productive? Like Iron Man (2008), I believe the disc for Winter Soldier is out of print. You reply to that post and not to the discussion a few of us attempted to keep this topic alive? Sheesh. I'm really glad I kept mine, though of course there's some serious limiting on that mix bus. That kind of sound just plain seems to work for a more physical-sounding score. You know that supa fat and thumping bass action figure thing that Zimmer helped pioneer. But that CD has its own charms imo. Especially Winter Soldier, which is a masterpiece. Jim, I'm glad to know that I'm not the only one who loves Winter Soldier! It's one of my favorite MCU scores, if not my favorite, although Doctor Strange may be giving it a run for its money. An excellent score that is well worth getting. I feel the opposite. The personal conflict for me is what makes the movie work as well as it does. You can sympathize with Iron Man because he just watched the Winter Soldier murder his parents and learned that Cap knew about it, and failed to tell him. The sense of anger and feelings of betrayal are very relatable, and wanting to lash out makes sense. At the same time, Steve knew Bucky before Hydra got its hands on him, and knew that killing Stark's parents wasn't Bucky's fault. Hence, he will defend his friend. And he strongly defends Bucky because everyone who went after him in the movie did so with the intent to kill him. The finale works as well as it does because the audience can sympathize with both sides. Battling over the SRA/Sokovia Accords doesn't have much punch, as it is ultimately a straw man argument. People tend to agree with Captain America because they know the Avengers, and know that they will do the right thing. So there isn't much drama to attempting to get Cap, the Falcon, or others who didn't sign the accords/register to sign/register, because so what? They are going to do the right thing regardless. Of course, I say this as someone who hated the comic series. What was advertised as a debate that would have reasonable arguments on both sides quickly got tossed away. Iron Man's side did so many despicable acts (one word: "Clor") I can't imagine anyone rooting for Team Tony. And then Cap just gives up. This story caused me to avoid pretty much all subsequent event storylines in the comics. Peter became a sort of adopted son to Tony, and Tony even convinced Peter to take off his mask on live tv. Another part of the stupidity that was that storyline. Fortunately Marvel has since undone that part of the canon. I agree that Spider-Man works best as the perpetual loner. Good for a team-up or two, but nothing long-term. Well, there was that monthly Marvel Team-Up comic, which mostly showed Spidey paired with other members of the Marvel universe. It was very popular in the 70s and early 80s. Yes, but Spidey was never a "joiner." There was that one time where he seriously considered an invitation to be an Avenger, but it was because he was in perpetual dire financial straits. LOL The team ups are fun, but most of the time they are circumstantial in nature, though there was a fine three parter with Nick Fury, Shang Chi, and Black Widow. Michael Scorefan: I agree with your criticisms of the Civil War story, which is why I did not "lobby" for those other plot points to be included in the film. 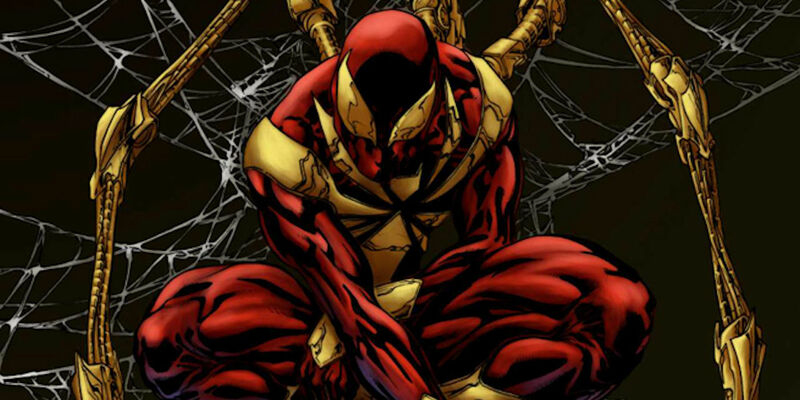 Spider-Man as an already-established character getting a boost from Stark is one thing, but having Tony be THE source of his origin is quite another. Aaaah, I finally got a comic book discussion going on the "status quo" side of the forum! The Marvel Team-Up book was a lot of fun, especially the Chris Claremont/John Byrne issues. Spider-Man is the ultimate guest star, as he brings an everyman sensibility to whatever storyline he appears in that instantly grounds the book. But as Jim says, the team-ups are circumstantial, and everyone parts ways after whatever crisis has resolved. As great as the team-ups can be, the best Spider-Man stories are when it is him on his own overcoming seemingly impossible odds. Winter Soldier just one endless over the top action sequence after another. I was bored silly. Cap got shot a million times in the back and it doesn't phase him. Fury some how burrows though several feet of asphalt and concrete while trapped upside down in a car, not making a bit of dust in the process. Don't quite remember the nonsensical ending other than our heroes drop multi-ton helo-carriers onto thousands of civilians. Don't remember the score at all. Doctor Strange at least felt fresh, handled his trauma (and drama) bit more seriously, and the score had memorable themes and motifs.